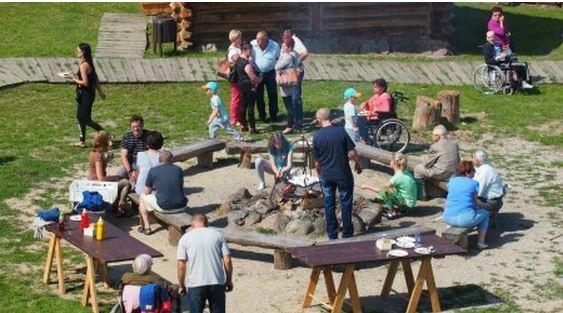 The bonfire party was held close Starogard Gdanski in Owidz — a reconstructed medieval fortified settlement which, according to archaeological and historical research, was established in 11th century and was one of the largest in those times. About 160 participants — patients and their relatives — attended, among them patients in wheelchairs. The event was jointly prepared by Diaverum employees and patients. Two of the patients even baked cakes while the potatoes roasted on the bonfire had been delivered directly from another patient’s farm. Listening to medieval music we roasted sausages over the fire and grilled krupniok — a type of black pudding. To make the meeting even more attractive, we organised a quiz with prizes. During the quiz we checked their knowledge of dialysis therapies and Diaverum. Some of the questions helped us to inform the patients about the number of transplantati ons performed in 2014 and about the number of new patients admitted to renal replacement therapy. All patients who took part in the bonfire party received a mug with the Diaverum logo. In addition, each of them could visit the Owidz settlement free of charge. Children made good use of the playground and took part in games organised by the employees of the settlement. 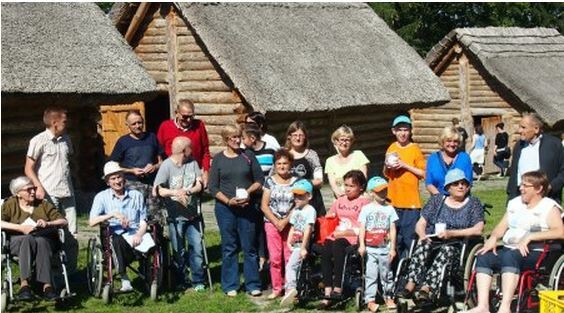 The invited patients and their families were glad that Diaverum enabled them to spend time together, the proof of which can be seen in the photos.